While Artificial Lawyer has been zooming around ILTACon in the US a bunch of news items have popped up on the radar and here is a selection. P.S. A feature-length wrap up piece with reflections on the world’s biggest legal tech conference will be published on Friday. A survey of 150 UK CEOs by Big Four firm KPMG found that the majority ‘were frustrated by short termism in digital transformation projects’, such as those that involved AI, and 72% cited ‘unreasonable expectations’ for return on investment related to digital transformation programmes insides businesses. Although this relates to corporates this is an interesting finding that perhaps has some parallels with how law firm management boards may set expectations. Instead, CEOs wanted their Boards to take a long term view of tech investments, with 64% advising the company would only begin to see a return on investment (ROI) in AI in three to five years after the initial outlay. The timeline mentioned in relation to companies here is quite long, given that law firms would appear to be getting almost immediate return on investment from the automation of process tasks, especially when a fixed fee is involved. Perhaps this reflects the difference between law firm and corporate business models. Although, that said, some law firms do remain sceptical about ROI and perhaps, as with corporates, also don’t see automation as a long-term strategic play that will deliver even greater gains in the future as it is embedded more deeply throughout the business. Meanwhile, one in two CEOs expressed doubt in the skills of their wider management team, confessing they were not confident their immediate team had the right experience to oversee the radical change the organisation needed. Despite its challenges, AI and other forms of automation is welcomed by UK CEOs, KPMG said. The vast majority of the CEO cohort (95%) agree that it is more of an opportunity than a threat. ‘The reality is that digital transformation isn’t a simple change that can be implemented overnight and deliver results straight away. It requires embracement of innovative breakthrough technologies, investment in digital skills, and retraining the existing workforce. This change is needed and for some it is a major turning point, especially for those that have engrained processes, to make the change otherwise there is a real possibility of being left behind by technology first businesses,’ she added. One of Portugal’s top law firms, Vieira de Almeida (VdA), has selected UK-based legal AI company Luminance to provide AI tech to streamline the firm’s contract review and due diligence processes. The firm selected Luminance following an extensive trial period, where Luminance was tested against a manual due diligence review of an M&A transaction, it said. With over 2,000 English and Portuguese documents uploaded to a data room, VdA benefitted from Luminance’s interface, which provided insight into clause and document types, regional activity, and potential anomalies, the AI company explained. And it appears this test swung it for Luminance. VdA is now rolling out Luminance to be used on all relevant due diligence assignments in parallel with clause and document type labelling in the Portuguese language. VdA’s team were closely involved in the NLP learning process of Luminance in Portuguese. It was an opportunity for VdA’s team to shape how Luminance would act, they added. 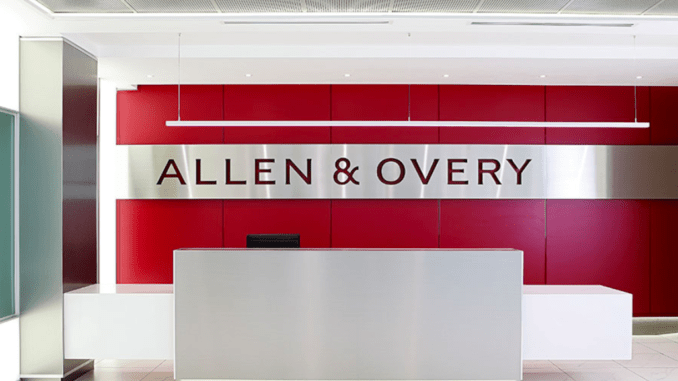 Legal data analysis and workflow platform Relativity has announced that global law firm Allen & Overy has become a new RelativityOne customer. The application provides a broad set of flexible tools in a secure cloud platform. RelativityOne has seen a more than 200% increase in customers and over 275% growth in data licensed since last August. Legal data collaboration pioneer, HighQ, has announced a partnership with the University of Melbourne Law School with the creation of a collaborative educational project for first-year students. Melbourne Law School aims to ‘expose about 400 law students to legal technology that they might use in a future legal career’, the company said. HighQ will host the new subject, Disputes and Ethics, on its Collaborate platform. The subject will include 70 different teams working on a fictional legal dispute. The HighQ platform will allow integrated communication between the student teams and the Melbourne Law School faculty.